First day in my company's new office building. 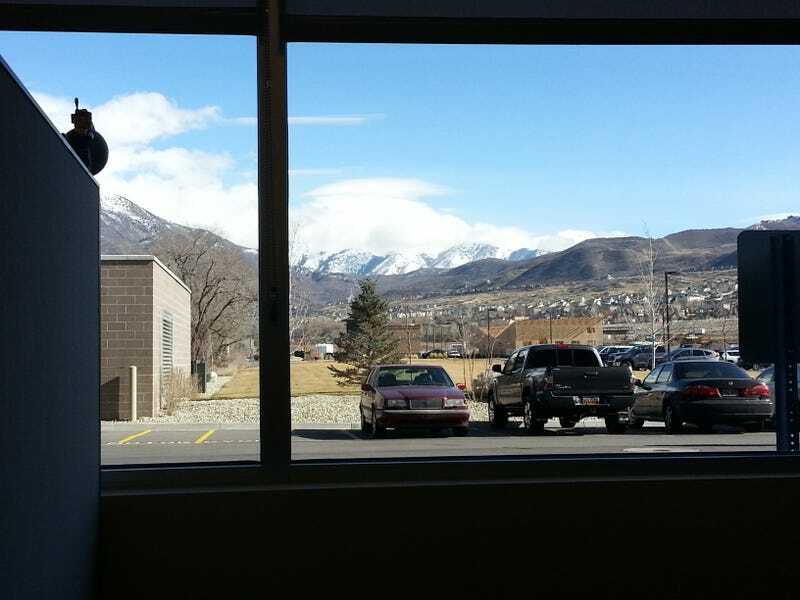 I was lucky enough to still have a window desk, with a view of the mountains that were blocked in our previous building, by the building we are now in. There's also a great parking spot for my car, also pictured.